You hear it in the news. With over 82 Fortune 500 companies choosing renewable energy to power their operations, it is evident that going green is trending among corporations. But is that exclusive to just the large enterprises? Not at all. Can solar power for a small business be a viable option? Absolutely. Before you make any decision, think about these four questions aimed to help you decide if choosing solar power for a small business is a smart investment for your company. 1. Where is your business located in regards to its solar resource? It is important to note that solar panels function off direct sunlight, not heat. However, in process of deciding to install solar panels for your business, it is important to consider you location as in regards to how much kWh your region receives. If your business is located within the United States, utilize SEIA‘s solar state map to uncover the latest market insights and policies for your states. There are also many other sources on the web such as Solar GIS which has both global and countrywide solar resource maps. 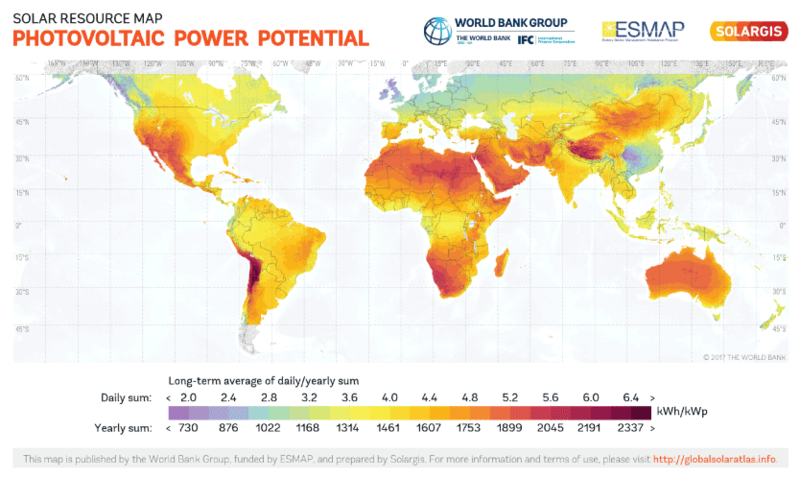 If your looking for a interactive solar irradiation map you can check out Global Solar Atlas which is provided by the World Bank Group. 2. Can your business benefit from the solar federal or local tax credit? One of the most attractive advantages that installing solar panels can do is benefit your business financially. Up until 2019, you can receive a reduction on your tax bill by 30% of the amount you would pay to install solar. Not only does this speed up the ROI for your installment, but also helps your business start saving money on electricity bills faster. However, this tax benefit will decrease to 26% by 2020, to 10% in 2022, so by acting now you can save more money instead of waiting for the future. 3. Do you want to save money on your monthly utility costs? With improvements in technology and practices, solar energy has never been more affordable for businesses, from large corporations to SME’s. Studies suggest that the average commercial property owner in the U.S. can reduce overall energy costs by 75 percent by going solar. Let that sink in for a moment, and consider the possibilities that your solar utilities savings can do to fund other departments in your growing business. 4. Can your business benefit from branding itself as going green? By choosing solar power for a small business, you can not only gain a competitive edge over its competition, but build trust and rapport with your customers. Showing environmental leadership indicates that your company is not only thinking inwardly, but rather possess a long-term mindset. 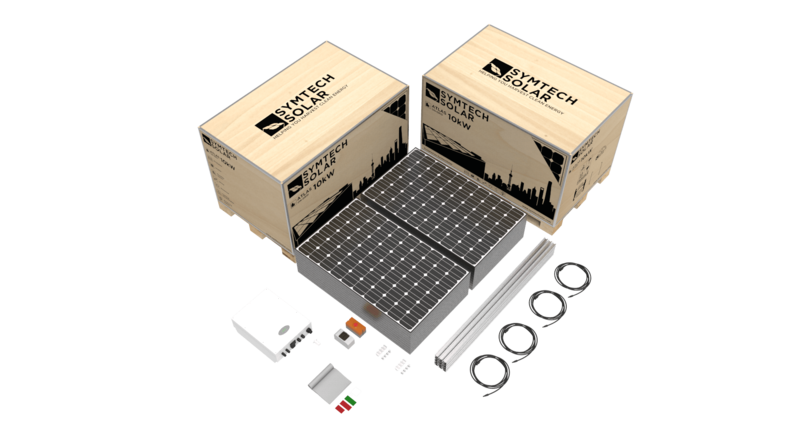 Symtech Solar’s complete all-in-one energy kits and systems will ensure that your energy installation process is as fast, efficient, and effective as it should be. With over 15 years of combined solar energy experience, feel assured that our company will help deliver beautiful results that will guarantee success for your installation, commissioning, maintenance, and monitoring of your photovoltaic system. Discover the PV solution that is ideal for you by checking out our extensive product line. Need something different? Not a problem, contact us for a customized PV solution that is optimal for your business.